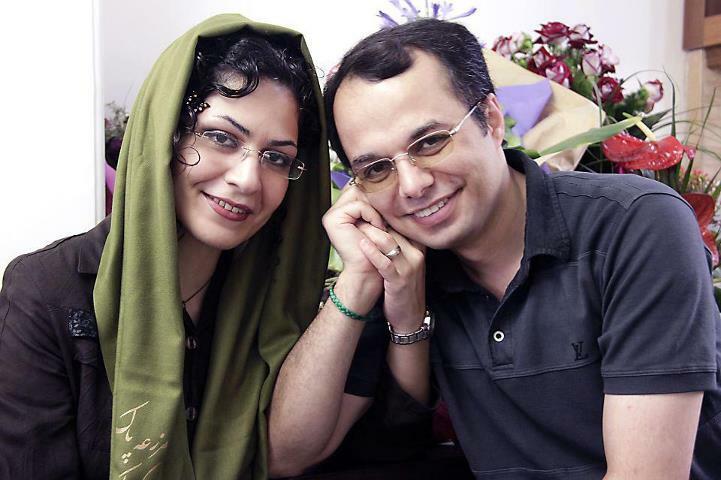 Prominent women’s rights and student activist, Bahareh Hedayat has written a letter from prison to her husband Amin Ahmadian. 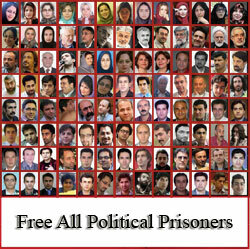 Bahareh penned this letter after finding out that despite the fact that under the new Penal Code she had completed her sentence, and a release order had been issued for her by the Court of Appeals, the prosecution illegally had kept her in prison and had illegally enforced a two year suspended sentence which dates back to 2007. “Get up Bahar, you must go to the sentence enforcement office”. In the sentence enforcement office they showed me a hand written letter that said my release order had been issued four days ago, and just today my two years suspended sentence was enforced…. “This is illegal sir!” No not illegal, it’s a fraud affecting our lives….Just as usual. “How long is two years, Amin? How many missing you? How many wandering around? Anyhow, it’s not mister so and so’s fault either. They have given him instructions, he is just following orders. “I will file a complaint about this man”. “You have the right to file complaint about anyone you wish”…and then he laughs. And I think about our lives. If our lives had a shape, it would have been a sine curve. A tangent graph with two irrelevant axes. An axis that moves step by step; 4, 5/4, 5, do you see the line? You can see the beginning and the end: 6, 7, 8; Step by step, point by point, year by year. I put my finger on 6 and draw a line to 8: two numbers, two years: one can read books, can write, can translate, you can even play around the entire time. Even if you don’t do anything, the time will pass. But that one is a scary axis, a progressive continuity. An endless line with no visible end to it, it seems that it goes to the deepest part of the chambers of the heart, to all the invisible yearnings, home, light, routines, countless small dreams. The teacher says, “leave it be, there is no end to it, it’s infinite, an endless line has no number”. I hear the Judge’s voice from afar, clean cut, & prayers performed, “Well this is it, goodbye”. I think about you, and all the light switches that you will have to turn on by yourself…. The teacher says, “The weight of your change is in this axis…it has no numbers…you can only imagine it”.